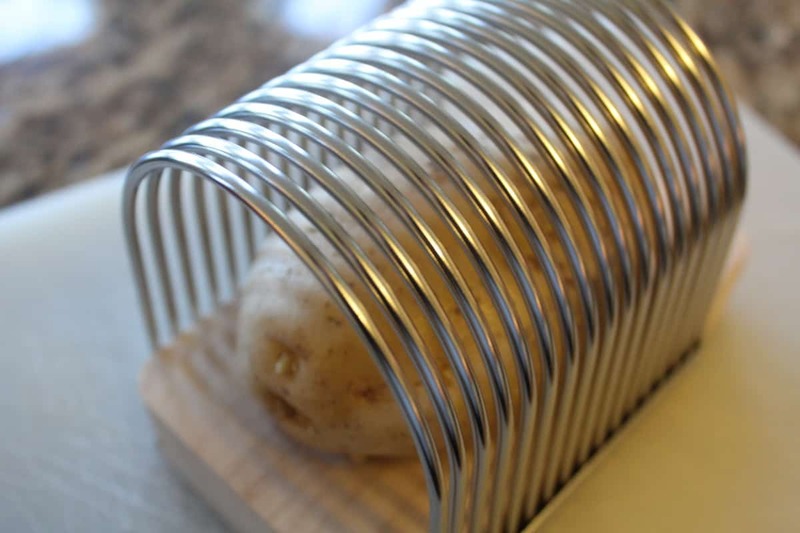 This is an incredible recipe, it looks great, but it’s so easy. That you can fool anyone into thinking it took skill. 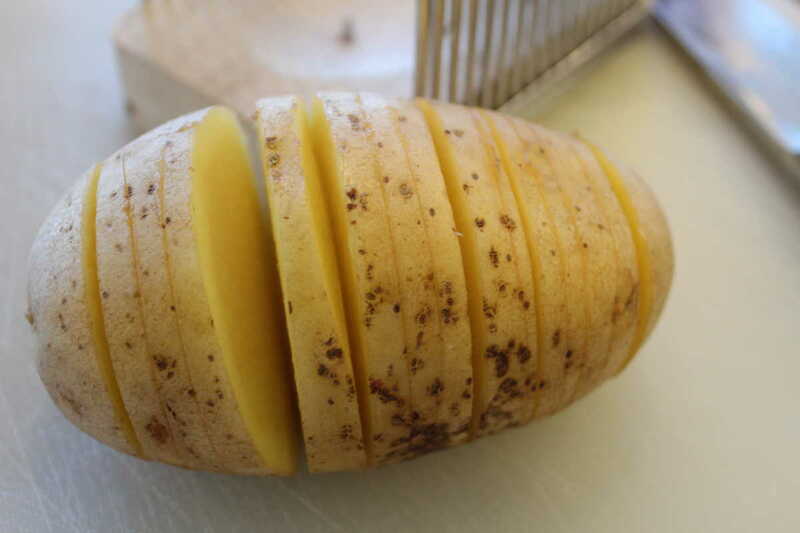 I’m thinking of serving it at Thanksgiving. 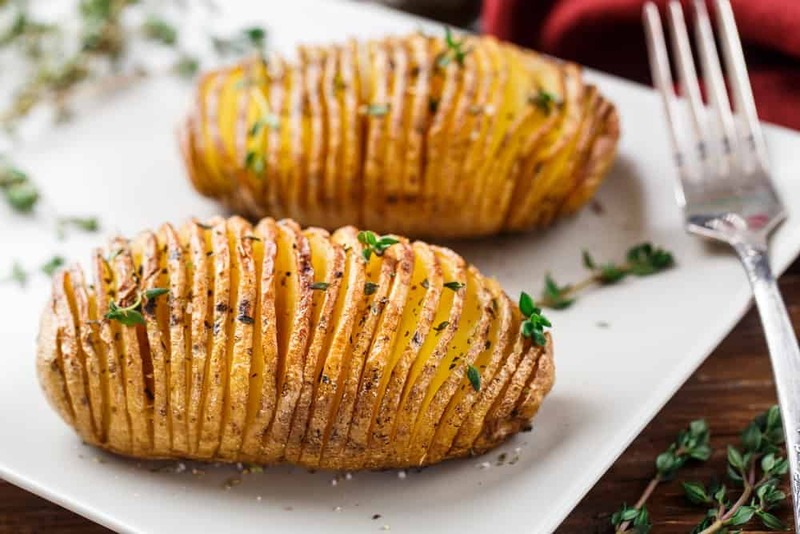 Place your Potato on top of the cutting board, place the metal grate over the potato, and use your knife to cut where the marks are. 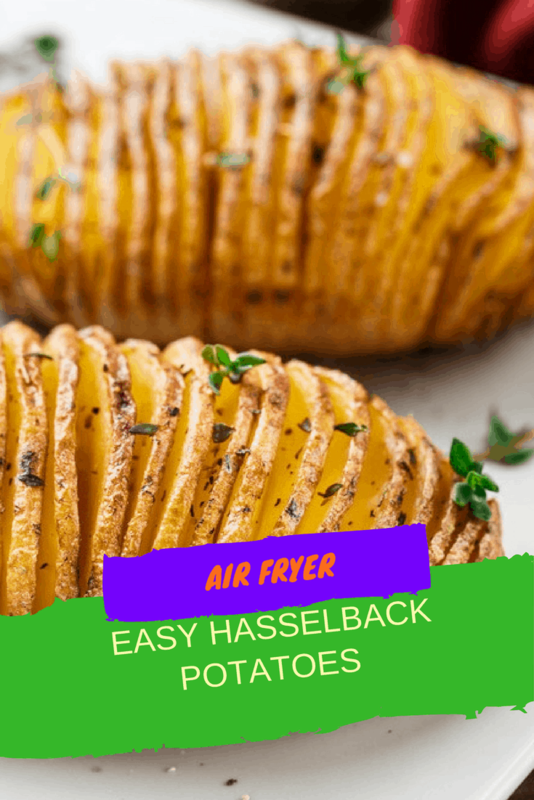 Air Fryer for about 15 minutes. 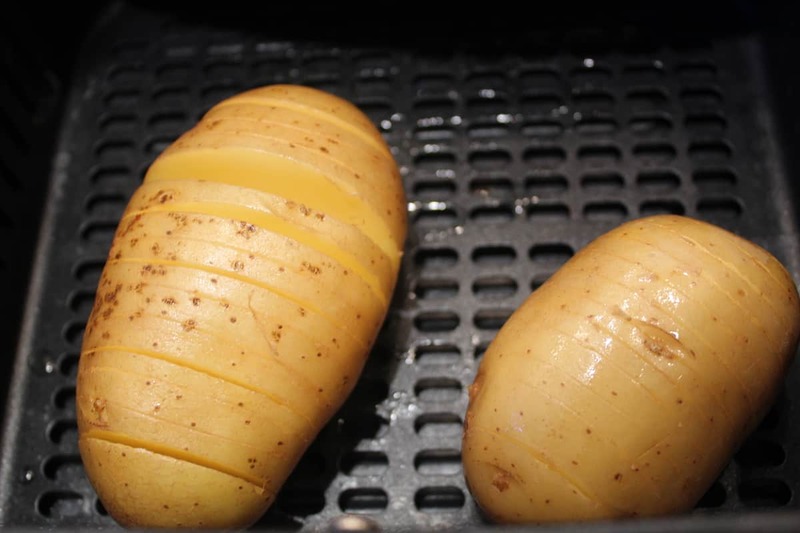 Then open up your air fryer and place some of the butter into the grooves of the potato, add some salt. Brush it with more olive oil, IF they look dried out. Take out and let cool, serve with sour cream, chives, bacon bits, etc. I love your recipes, but they are hard to copy and paste to a word to print, or am I missing something. I recommend trying an app called “y easy to use and copies only pertinent info for recipe & usually a nice pic. Also great for categorizing recipes and can be accessed even with no wifi. 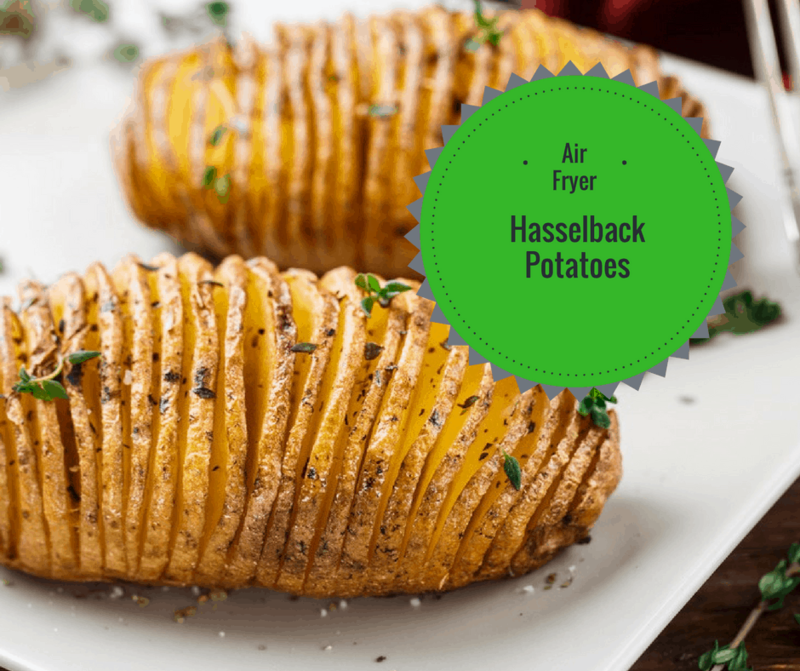 Btw, these recipes on this site, especially for air fryer look fantastic! Some weirdness happened with the app name on last post. It’s called PAPRIKA.